Gloria Jean McMurray Malone was the oldest of four children born to Reuben James and Juanita McMurray. Her childhood education included attendance at Thomasville Elementary and Charles Brown High School, while growing up in Sarepta, Louisiana. Strong, meaningful, and lifelong relationships resulted from her education at Grambling College, where she earned a Bachelor of Science Degree in English and Library Science in 1962. By 1972, Gloria had completed requirements for a Master of Arts Degree in Reading, English, and Education from the University of the Incarnate Word. Gloria married her high school sweetheart, Joe Malone, in May, 1963. Her professional career began at Dunbar High School, in Earle, Arkansas. She often spoke fondly of her librarian experiences at Ft. Sill in Lawton, Oklahoma after leaving Arkansas. Gloria Malone’s legacy as an educator spans over 36 years. In the San Antonio ISD, she touched both faculty and students, teaching English at Emerson Junior High and Brackenridge High School. She inspired students to love books and to love reading as a librarian at Wheatley Middle School, Cameron Elementary School, Sam Houston High School, and as a reading teacher at St. Philip’s College. Gloria championed the need for libraries and library service in her community by representing District 2 for 18 years on the San Antonio Public Library Board of Trustees and as an ex-officio of the San Antonio Literacy Commission. As a community leader, working with Councilwoman Ivy Taylor and Mr. Sam Schaefer, Gloria realized her vision of a second Library on the Eastside. Schaefer Library opened in March, 2017, and is fondly referred to as Gloria’s Library. 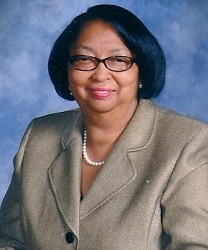 Gloria Malone was a servant leader giving unwavering support to organizations to which she had made a commitment. Ranking at the top of a significant list is Alpha Kappa Alpha Sorority, Inc.®. Leading Alpha Tau Omega as the 27th Chapter President, Gloria represented the South Central Region at the International level for the Archives Committee and served as the Southwest Central Texas Cluster Coordinator. Gloria was an Alpha Kappa Alpha Sorority Life Member. Gloria’s service and volunteerism was documented by activities at her church, St. Paul United Methodist Church. She unselfishly worked in the “Feed My Lambs” outreach program administered by the United Methodist Women. She has served as the St. Paul Youth Usher sponsor, and as a member of the St. Paul Administrative Council. Gloria made volunteerism a priority for the following additional organizations: Communities in School Board of Directors; Eastside Boys and Girls Club; and Thomasville Water Board of Directors. Gloria received the Yellow Rose of Texas Educator Award and was recognized by the Texas State Library Archives Commission. Preceded in death by her parents ,Reuben James and Juanita McMurray and her brother, James Dwight McMurray, Gloria is survived by her husband of 55 years, Joe Malone; Son Roderick Malone; Aunt, Dorothy Autry Hendrix; Sister, Patricia McMurray; Brother, Eddie Ray McMurray; Brother in Law, Bob Carter (Gladys), Sister in Law, Arlean Stanley; and God Daughter, A’riel Gatling. Gloria leaves an abundance of precious memories to be cherished by her devoted nieces and nephews, cousins, friends, classmates, and acquaintances.